What made you want to work as a fashion based Graphic Designer? I like clothes and stuff. 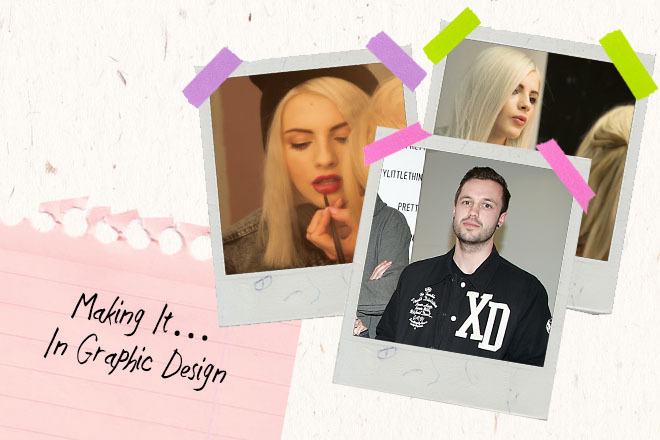 I wasn’t interested in graphics by the time I left Uni, I was more into music, but a couple of years down the line a job fell into my lap and it got me back into it, that job led to PrettyLittleThing – Being in the right place at the right time is key. Breakfast, designing, lunch, designing, ping pong, designing, tea, sleep. Seeing our print adverts in magazines or bus stops. What are your top tips for someone wanting to work in the fashion industry? It’s all about what you know AND who you know…Be social. Don’t be a bore…never grow up.